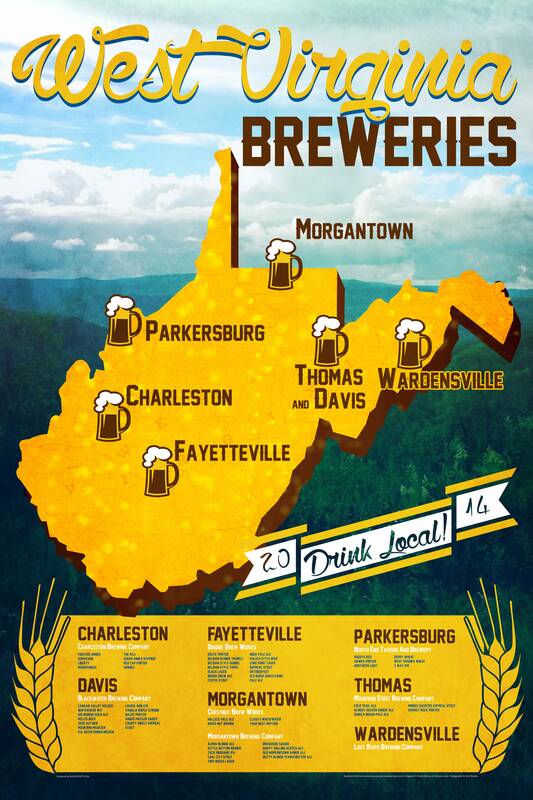 We've put together an informational poster celebrating the growing craft brewing scene here in West Virginia. We're brewing some top-notch beers here, and thought we'd get a poster together to point that fact out. We'll try to keep it updated as the industry grows, and as the culture embraces our new brewing tradition. So excited to get this out there, and let the world know what they're missing. So, check the poster, and go get yourself a delicious WV Beer! Drink Local! The FULL SIZE POSTER (24x36) is available HERE.